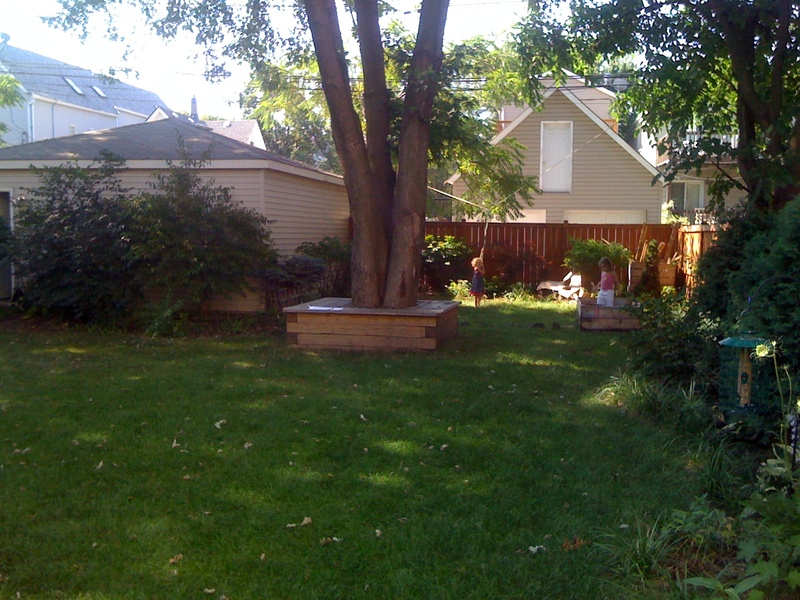 Maple tree that we tapped in our back yard. We have one maple tree in our back yard. It’s a big one, but it is still only one. But when I went to the maple syrup festival last year and saw how easy it is to make maple syrup, I thought I’d give it a try. I have a friend who owns some land in Michigan and has about 50 sugar maple trees. He is tapping about 30 of them this year, but he has about 50 spiles or taps. He let me use a couple of them. I am tapping a single tree, so I put two taps into my tree as it is big enough to be able to handle two. My tree is a silver maple, which don’t work as well as sugar maples, but according to what I have been reading they should work. Boiling. One of the challenges of making maple syrup is that it takes about 40 gallons of sap to make a single gallon of syrup. And you can only store the sap for 7 or so days before it starts to be unusable. So I am hoping to get 10 gallons to make 1 quart. If I can do that a couple of times, I’d be really excited. So next step is tapping the tree. This is what the spiles look like. Pretty simple. 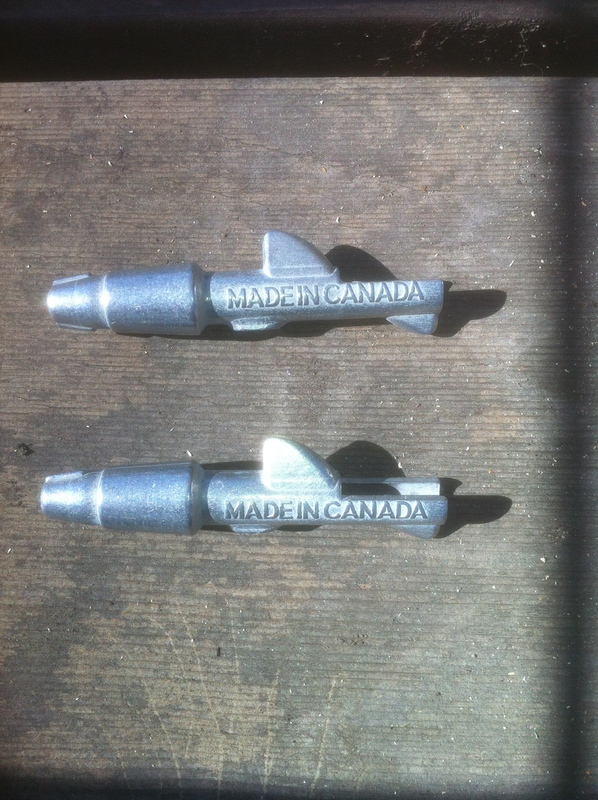 Need to drill 1/2″ hole in the tree in two locations. This should give me about 1/2 gallon a day of sap to boil. This is hanging from the spile sticking out of the tree. 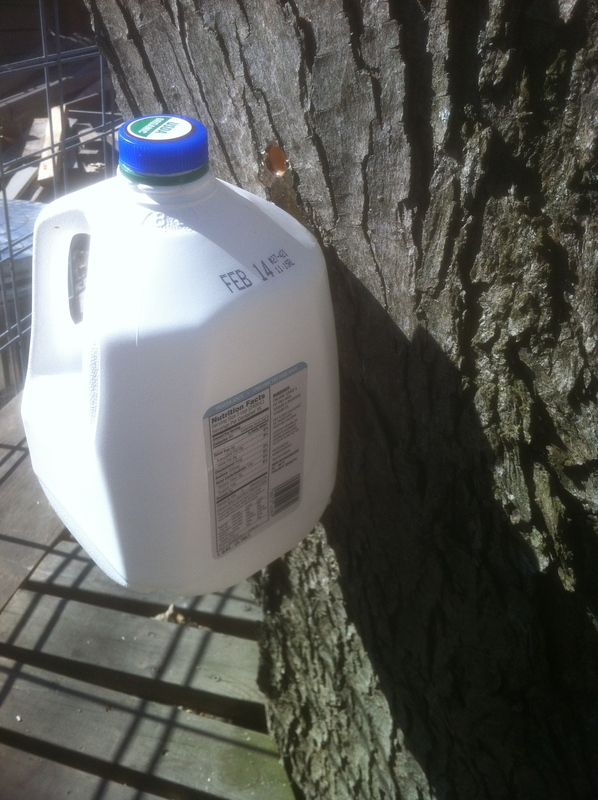 In the spirit of reducing waste, I used old milk jugs, punched a whole in the side and hung them. I tapped the tree twice and have two milk jugs. As you will see in the video coming up. I actually messed up and drilled one of the holes to big, so had to drill a second hole. Oops. Can't wait to boil that down. Just think, if I wanted a gallon of syrup, I'd need 40 of these. 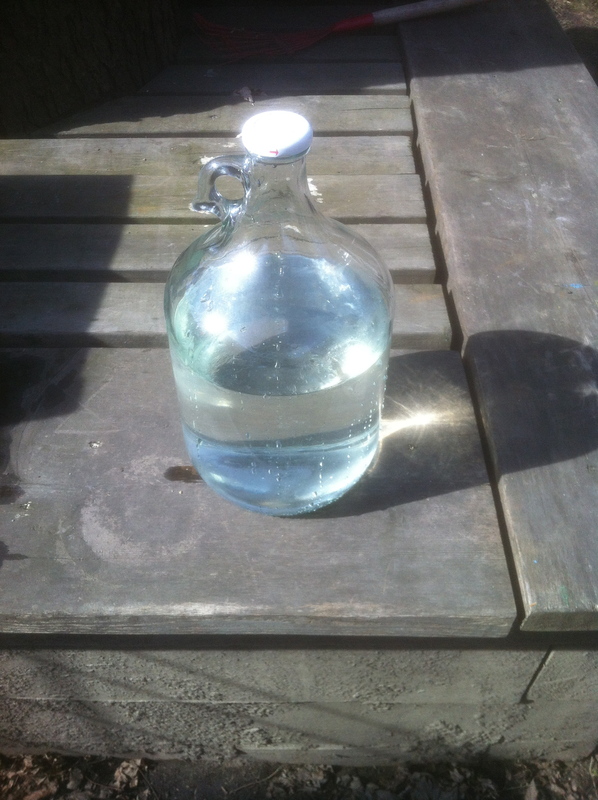 Here is the first gallon of sap that was extracted. It looks like moonshine or something. I tasted it and don’t really taste the sugars from the syrup. I wonder how they figured out you could make this into syrup. It’s the day of our first boil. I only have about 4 gallons of sap, so I won’t get that much syrup, but I am excited about the process. Plus I have a bunch of scraps of wood in the back yard I’d like to get rid of. I sent out a note, inviting the neighbors, so we will see how many show up. The fun news is we had a few families show up and some kids playing. It is fun when you can combine community and food. Next year I think I am going to try to get more trees and more people interested and involved. 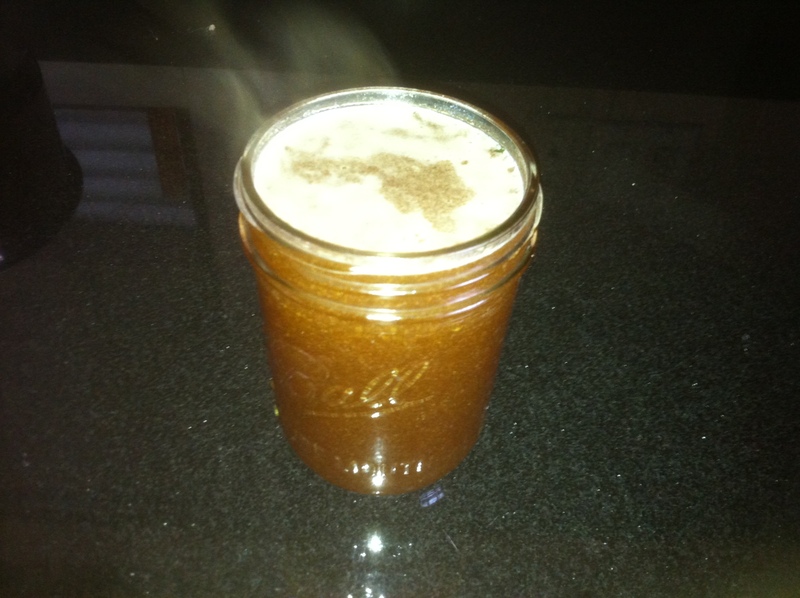 Here is the first pint of maple syrup we made. Pretty cool. Finally, here is the photo of the finished product. We ended up with a pint of syrup and it was delicious. You can see its dark brown color and the steam still raising off the jar. The girls and Julie really liked it as well, so it wasn’t just crazy me. I hope to do it a couple of more times this season, but that will depend a bit on Mother Nature. This entry was posted in Community, Food, Food Production. Bookmark the permalink. Awesome! We did this as a kid and loved it. Our favorite syrup came from a Norway Maple, go figure… You need to figure out how to do the boiling in the house (as a heat source?) as it smells so wonderful and make a great humidifier too! Thanks Troy. Yeah, a lot of heat was wasted. However, I hear that you evaporate so much water from the process that it can cause damage if done indoors. Who knows. Was a ton o fun.